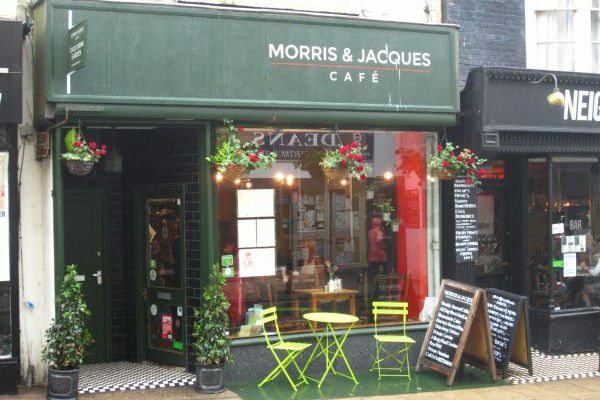 Morris and Jacques is a lovely little place nestled between the surrounding businesses half way up St James Street on the right hand side. Once inside you feel a world away from the hustle and bustle of the busy town. The place is beautifully decorated and the seating comfortable. Once through the door you are greeted by the friendly and welcoming staff who provided the menus and also explained the specials. 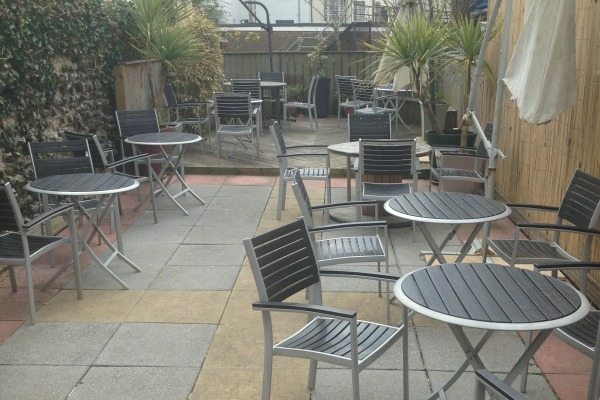 For those there on a warmer day they also have a large south facing terrace at the back to enjoy the sunshine. The décor is simple yet lovely, with big chunky wooden tables and chairs. Large mirrors give the place an illusion of being larger than it actually is. The window onto the roadside is a large picture window with the lights and small plant decorations hanging from the ceiling, so the view is perfect if you would like to just sit in the window with a large coffee watching the world go by. The menu is extensive, with three full A4 pages offering food alone, followed by a whole page dedicated to drinks. You have all day breakfast options, brunch and lunch, small plates or salads and larger plates together with a choice of two platters to choose from. Failing that if you just fancied popping in for a quick coffee and a slice of cake then this is also an option for you too. 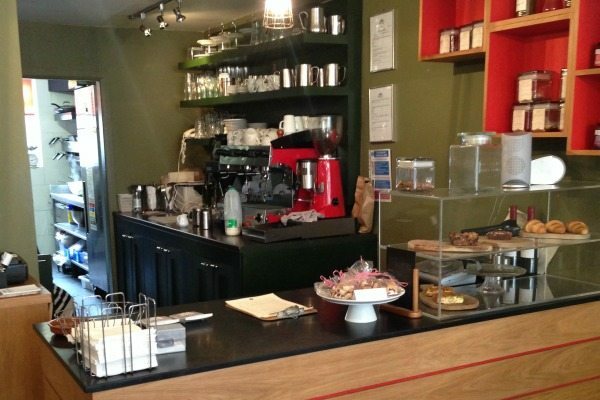 They can even offer all of their sandwiches and jacket potatoes as a take out option – perfect for those on the run. 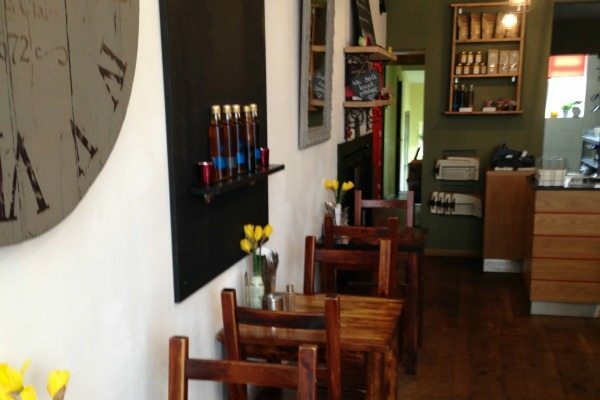 The drinks page is just as impressive for such a small establishment offering anything from an apple juice or coke through to a Sussex Ale or a bottle of Prosecco. With such an amount of options it was very difficult to decide upon what to choose, as it all sounded so appealing. However, my friend opted for the Caesar Salad with Parmesan and Croutons, served with Chicken and Bacon (£7.95), and I chose the Veggie Platter (Falafel, hummus, grilled Halloumi, roasted Aubergine dip served with grilled vegetables, olives and rocket salad (£7.50). And the three year old wanted the egg mayo sandwich on white! Once the dishes arrived they didn’t disappoint. 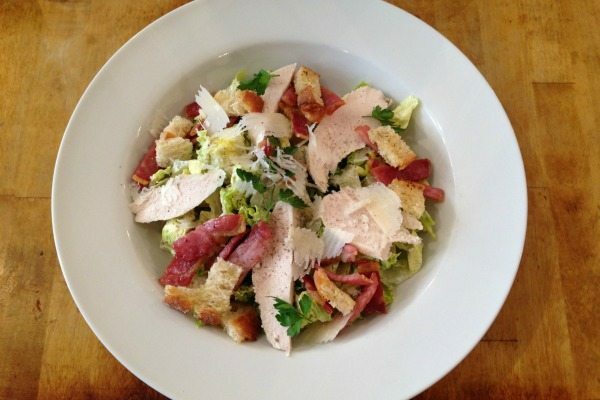 The Caesar salad was huge and would satisfy someone with a giant’s hunger I would imagine. The proportions of everything in the dish were big too and well balanced – the dressing wasn’t overpowering at all as it often can be. The croutons were homemade, big and crispy. The chicken and bacon were well cooked with the chicken being succulent and the bacon crispy. My friend loved this and soon polished off the whole dish without me even being able to taste a single morsel! 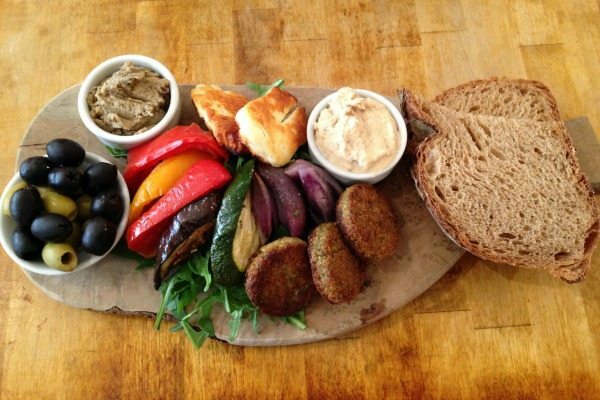 My veggie platter was beautifully presented on a large wooden board, with the colours of the grilled Mediterranean vegetables jumping off the dish at you. The Halloumi was well cooked and had just the right amount of crunch to it as I bit into it. The Falafels were almost small discs rather than round and served warm having been grilled – again this was very tasty. Both the Hummus and Aubergine dips were home-made and were so subtle in flavour they didn’t drown out any of the other flavoursome items on the dish. Everything complemented each other beautifully and I would imagine many of these being served on a warm day out in the Cafés large terrace at the rear together with a glass of white wine or Prosecco. High Praise From The Little One! Even the three year old enjoyed his egg sandwich and ate it all – high praise indeed! 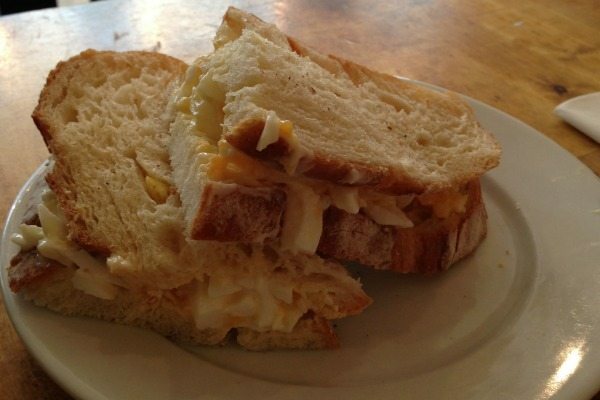 The egg was boiled, mashed and served warm in the sandwich with a hint of mayonnaise. There was a choice of bread that we could have chosen but we opted for the white Sour dough and it was delicious. When we arrived at midday we were the only ones in the Café and whilst we were there another gentleman came in for a breakfast and then another refuelling with a cup of coffee and it was great to hear that the waitress knew them both by name. However, after popping out to have a look at the terrace and then heading back through the café to leave, the place had practically filled with diners all perusing the menu and deciding upon which delicious treat they were going to choose. 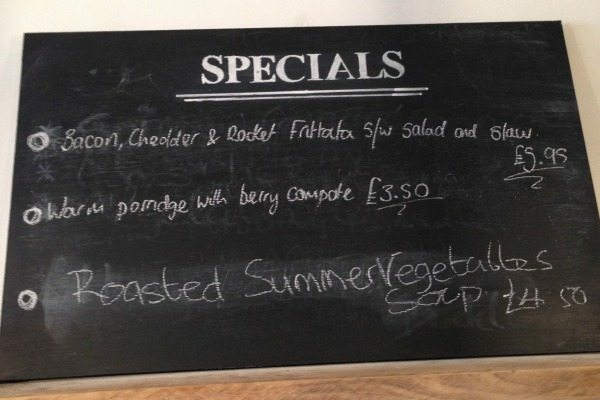 It was great to see, as if the standard of our food was anything to go by then they were certainly not going to disappointed!